Our company operates in the market since 1995. 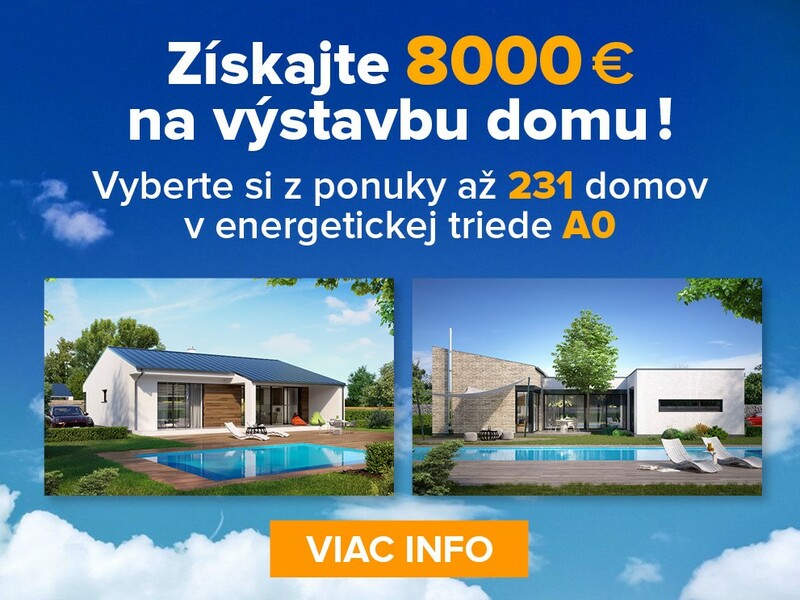 During this period tens of thousands of houses were built according to our projects in Slovakia and the Czech Republic. After 2010 the second generation of consumers who grew up already in our family homes began to emerge and they defined new requirements for houses. Compared houses prior 20 years it is not a requirement today to have a duplex two-storey house with basement and double-garage, but the bungalow with no basement and no garage with shelter only. The size of two or three bedrooms, a real stand-up cost from mortgage ( ie price for Turnkey up to € 80,000 ) , but technically on much higher level than the houses were 20 years ago. SMARTLINE category of our houses use almost one fourth of energy, have almost zero CO2 fumes ,is heated by heat pumps and equipped with security systems , intelligent systems and control via the Internet , to which a new generation of our customers have close to. Currently it is not a interest in hundreds of meters of usable area, which is necessary to heat and clean, but rather a ergonomic disposition with higher functional spaces connected with living space and the outside terraces, living green and often a pool for relax. Based on YOUR requirements we have created a new class of Houses - SMARTLINE and in this catalog we prepared 11 of them.